Your fashion sense knows no limits. So give your fans something that will excite them. 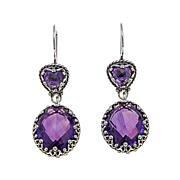 Filigree, beadwork and colorful, faceted amethyst gemstones are like the paintbrushes used to create this masterpiece. Separately, each is already a pretty detail. Together, they're a captivating work of art! 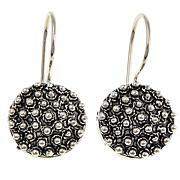 To say that I really love these earrings would be an understatement. I was looking for an amethyst drop earring that was not a post & clutch earring, and so this earring fulfilled all of my requirements. 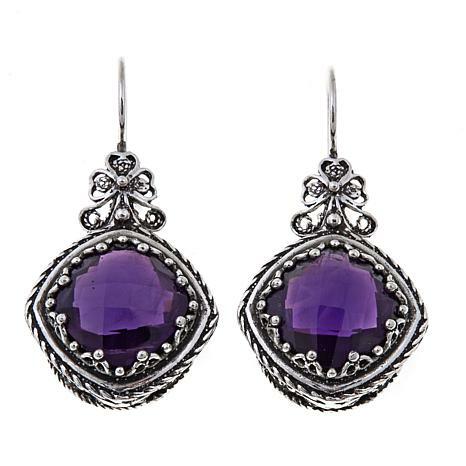 The design is lovely, and the stone itself is a beautiful deep amethyst. 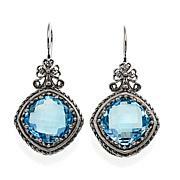 I have blue eyes, and so these beautiful earrings compliment my eyes, as well as all of my outfits, so I would highly recommend these lovely earrings.